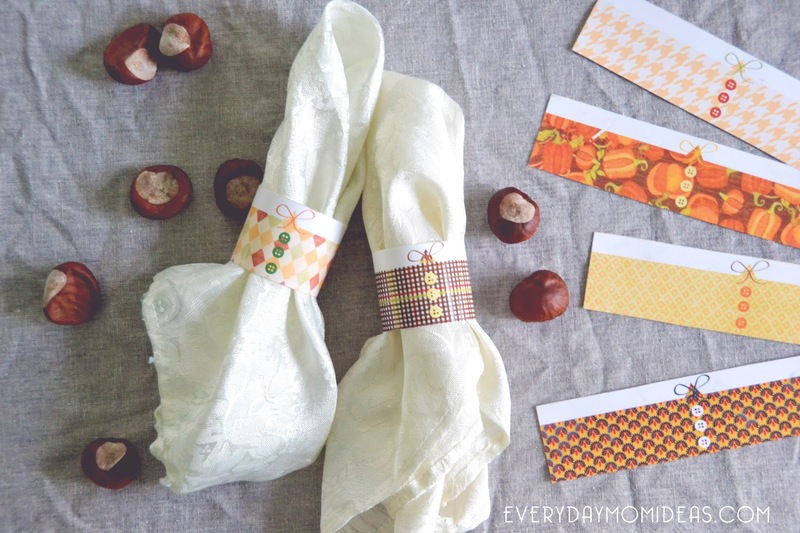 FREE Pilgrim Napkin Rings printable just in time for your Thanksgiving Tablescape. 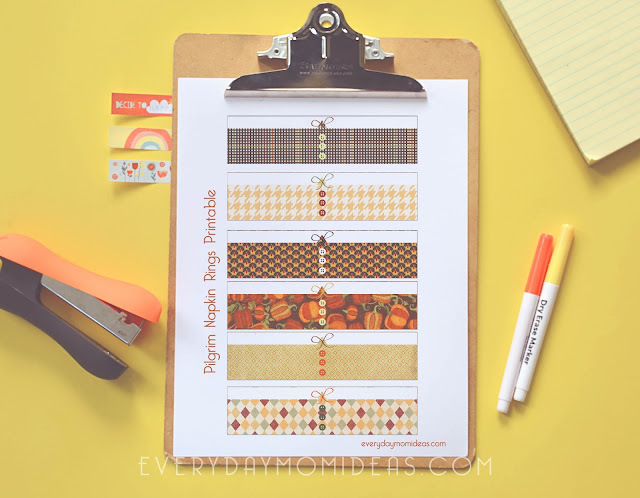 This printable comes with five different fall colored Napkin rings inspired by traditional pilgrim clothing. 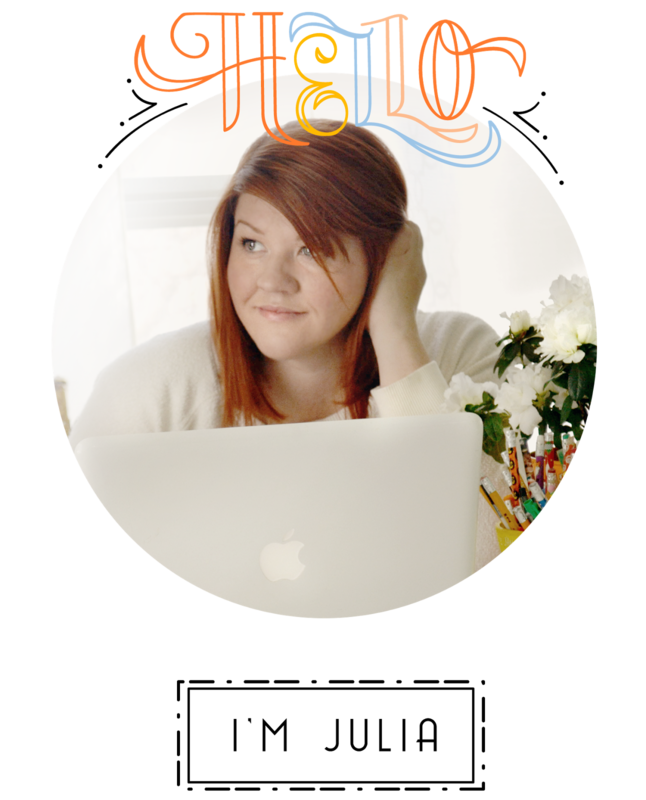 Just download and print on cardstock. 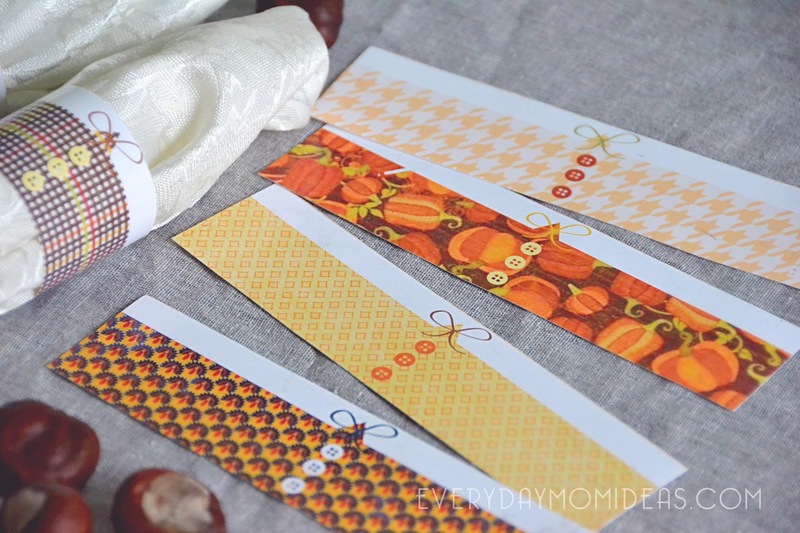 After cutting them out you can easily roll them into napkin rings. Secure with tape or glue. 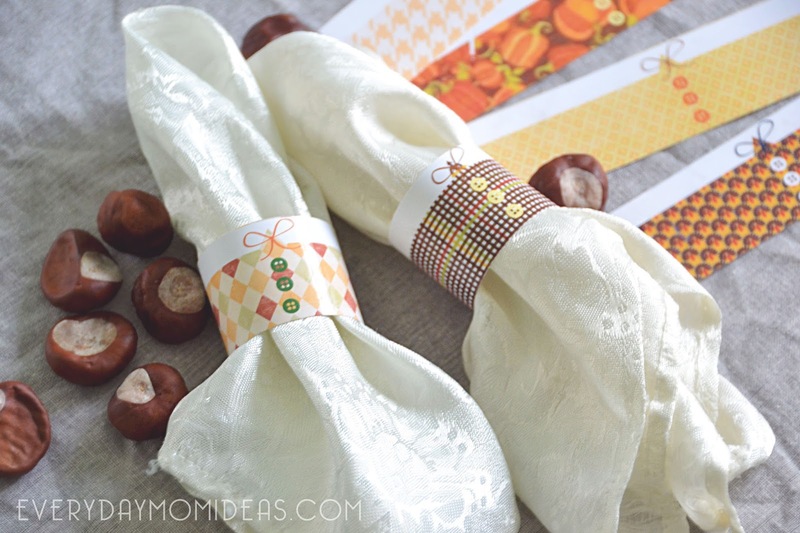 You don't need to spend a lot of money to spruce up your Thanksgiving table decor. These colorful napkin rings add that fun and whimsy touch. Get this FREE Thanksgiving Pilgrim Napkin Rings printable via google.docs here. Please share this Pinterest friendly image of this printable below with your friends and family, or save it for printing next year.